Shhh! Listen! If you hear an elk bugling in your backyard then you’re probably a Montanan. If so, we have a design that will inspire another sound: a register ringing in sales for your event. 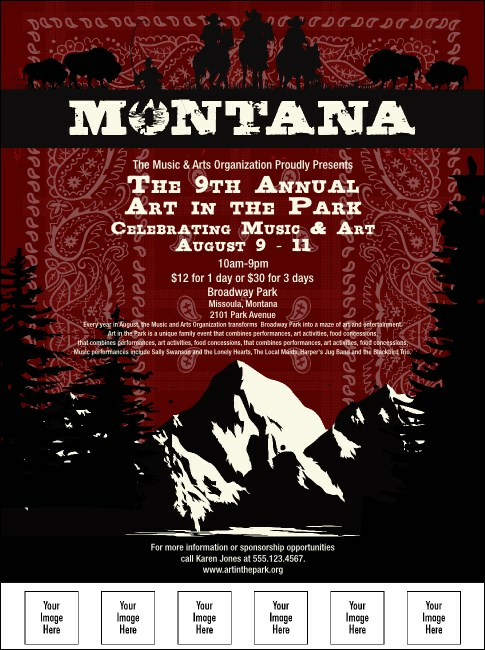 Spread the word with this spectacular Montana Flyer, featuring western design and mountains. Be loud with TicketPrinting.com’s bold designs!